If you are considering facelift surgery, then you may be concerned with the visibility of resulting scars. Men and women with receding hairlines or thinning hair may be worried that they won’t have adequate coverage of the incisions. To address the unique concerns of these patients, Dr. Calabria has developed the tension-free facelift. This surgical technique is specially designed to eliminate tension placed on the healing incisions so as to minimize visible scarring while still providing significant anti-aging results. The tension-free facelift begins with a specially placed incision on the ear at the edge of the tragal cartilage. This placement helps ensure a more natural color transition and results in a less visible scar. Next, Dr. Calabria creates suspender flaps from facial tissues, which are then anchored to the temporal areas. This structure shifts the tension from the incisions to the anchors, which reduces scarring during the recovery process. 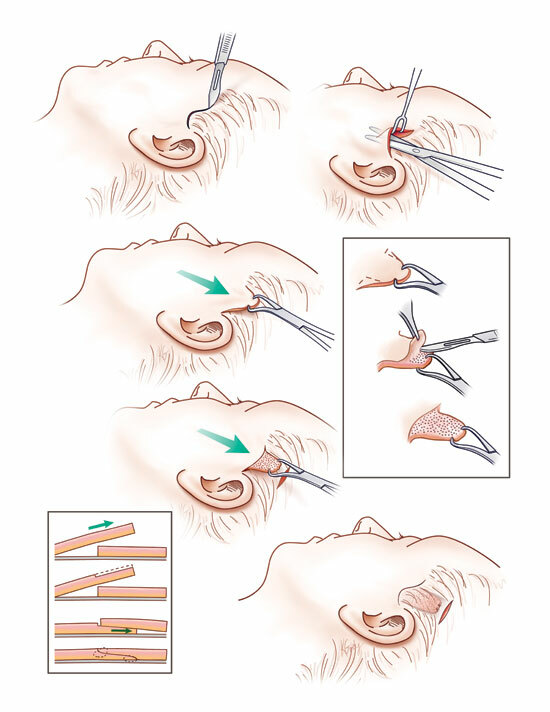 The final step to minimizing scarring with a tension-free facelift is the suturing process. Dr. Calabria uses half-buried sutures to avoid creating stitch marks. This technique doesn’t leave a clearly visible appearance, no matter how long the incision is. Experiencing bruising and swelling is standard following facelift surgery. You should rest for several days with your head elevated to minimize excess swelling. You should be able to return to work and most of your daily activities after two to three weeks, though you will still need to avoid strenuous physical activities for up to four weeks. You should be fully healed after six weeks. The tension-free facelift provides significant improvement to aging facial features. The characteristics of this facelift should result in minimal visible scarring or discoloration. While the tension-free facelift reverses aging, it cannot prevent future aging from occurring. However, the aging process will be slower and less dramatic in the future. 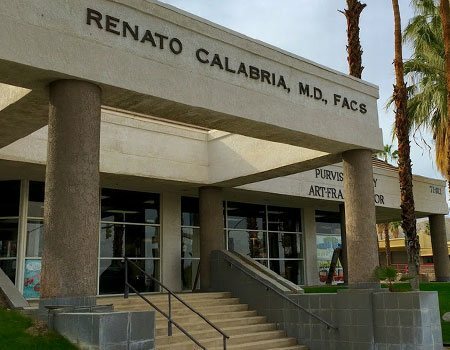 To learn more about the tension-free facelift or to schedule your facial rejuvenation consultation with Dr. Calabria, please call the Rancho Mirage location at (760) 836-0077.